Mildew vs. Mold: Do You Know the Difference? When it comes to mildew vs. mold, homeowners often have trouble identifying the differences between these two fungi. Knowing their different characteristics will help you when preparing for the battle against these household culprits. Mildew is a common gray and white fungus that’s often powdery in appearance. In homes, mildew will grow on damp materials like paper, leather and fabrics in addition to walls and other wet surfaces. 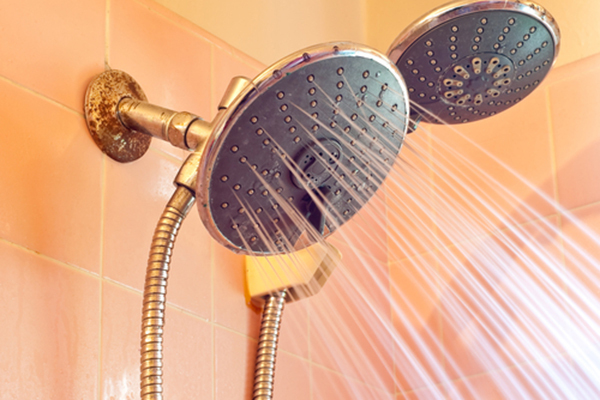 Because of this, mildew is most commonly found in bathrooms, kitchens and basements. In addition to identifying mildew by its fuzzy appearance, you can also point it out before actually seeing it. Mildew usually gives off a musty smell that indicates an infestation is nearby. Regardless of how clean you keep your house, you’ve encountered mildew at some point in your life. It’s nearly impossible to rid a home of mildew entirely since moist areas are hard to avoid in places like bathrooms and basements. Fortunately, mildew poses only minor health risks such as minor respiratory problems and occasional coughing fits. Mold and mildew are both members of the fungi kingdom. Though some molds may bear resemblance to mildew, most molds will appear darker in color like dark green or even black. Some may even be described as hairy. Mold also thrives in damp areas and can even grow on food. Unlike mildew, certain types of toxic molds can result in serious health problems for you and your family. Black mold can lead to serious respiratory complications, which may result in long-term health issues and even death in some cases. If you believe you may have a serious black mold infestation in your home, call a mold removal service to properly remove the infested area. • In order to easily remove mildew or mold residue from walls and tiles, mix 1 cup of chlorine bleach with 1 gallon of warm water and lightly scrub the infected area while wearing gloves. Let the solution dry for 10 minutes and then repeat the process at least two more times to ensure all mildew or mold has been removed. • When cleaning certain fabrics or pieces of furniture that have mold or mildew growth, take them outside to prevent any spreading of spores. If the material is still wet, let it sit in the sun until dry. Next, use a brush to remove as much mold and mildew as possible. For any remaining stains, use the bleach and water method of removal. If the piece is washer friendly, send it through a cycle after you’ve removed the mildew with bleach. • For those in need of extensive mold removal, turning to a professional may be necessary. Firstly, professional mold removal can run you anywhere from a few hundred dollars to a few thousand, so make sure your concern is a valid one. Once you request a removal, the company will first schedule a consultation. If they suspect mold, then they will move on to testing. Once a mold problem is identified, contractors will begin the removal process. Keep in mind, each of the three steps usually includes a fee.